Darjeeling: Darjeeling police has set the stage to host the most prized talent contest with the police announcing a prize money of Rs 22.44 lakhs for a singing and dance competition. The amount announced for the winners of the Darjeeling Rising Star-Pahari Pratibha Ko Khoj makes it the biggest contest in terms of monetary awards in the region's history. Siddharth Dorji, deputy superintendent of police, (Darjeeling town) said: "We have decided to increase the prize money of the competition and the total amount for the winners of the competition will be Rs 22.44 lakhs." 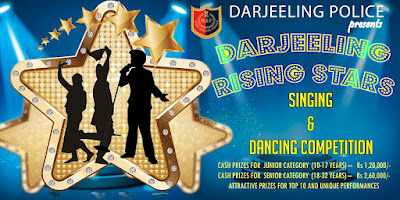 There are two categories, one for competitors of the age-group of 10-17 and the other for 18-32 years in both the singing and dance competition of Darjeeling Rising Star. Earlier the amount for the winners of the senior category had been fixed to Rs 1.01 lakh while the first and second runners-up were to get Rs 51,000 and 31,000, respectively. "The amount has been increased to Rs 2.5 lakhs, Rs 2 lakhs and 1.5 lakhs for three top position in the senior category," said Dorji. The winner in the junior categories were to get Rs 51,000, while the second and third participants will get Rs 31,000 and 11,000. "In the junior categories the top three will get Rs 1.5 lakh, Rs 1 lakh and Rs 50,000," said Dorji. The seven other finalists will get Rs 10,000 to Rs70,000. 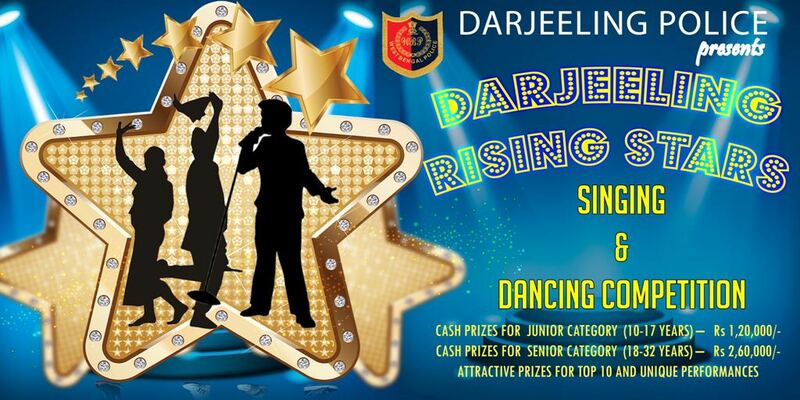 Darjeeling police has set the stage to host the most prized talent contest with the police announcing a prize money of Rs 22.44 lakhs for a singing and dance competition. The amount announced for the winners of the Darjeeling Rising Star-Pahari Pratibha Ko Khoj makes it the biggest contest in terms of monetary awards in the region's history.